Data governance is the sum of policies, processes, standards, metrics, and roles that ensure that data is used effectively to help an organization realize its objectives. Data governance establishes the responsibilities and processes which ensure that the data being used across the organization is not only of high quality but is also secure. As such, it defines who takes what actions, on what data, in which situations, and using what methods. Thus, a well-designed data governance strategy is critical for any business that works with a lot of data, as it ensures that the organization benefits from consistent processes and responsibilities. Today, most organizations work with big data which comprises of sensitive customer and company information. And because a lot of people may have access to this data, it is imperative that you have data and identity management policies to avoid this information falling into the wrong hands or being used for unintended purposes. Cyber-crime is on the rise and is costing organizations millions to mitigate its effects. Effective data governance ensures the privacy of this information as it flows through the company. 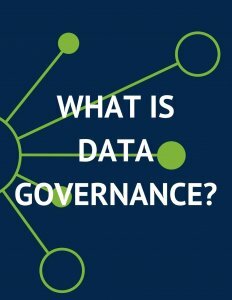 Who is in Charge of Data Governance? This task is assigned to the data governance council, which is the body that creates policies concerning the company’s data. The council which is chaired by a data governance expert is a cross-functional team comprising of senior employees from different departments of the organization. This is to ensure that everyone who has access to your company’s data is represented. Thus, the council cannot create a policy that inhibits a certain department of the company from handling its business effectively. The different members of this council are referred to as ‘owners’ or ‘stakeholders’ as they are responsible for the data within their domain inside the organization. The data governance council, therefore, comprises of the heads of the various departments such as IT, sales, legal, security, etc. These are the company’s executives, also known as the C-suite or steering committee. Their job is to sponsor, approve, and champion the enterprise strategic plan and policy. he executives’ role in data governance is critical as they enable funding, resource allocation, business prioritization, and cross-functional collaboration. Moreover, unlike most employees who focus primarily on their individual functions within the company, the company’s executives have a bird’s eye view on how different processes affect the overall health of the organization. This puts them at a strategic level that allows them to only allow policies that will benefit the business. Additionally, they also hold the data governance council accountable to timelines and outcomes, while ensuring that other employees understand that effective data management is important to the company. These are the individuals on the ground implementing the organization’s data policies. As such, they are business and IT experts who effectively implement your data policies into business processes, decisions, and interactions that benefit the company. Therefore, your stewards must be both IT-savvy and business-savvy. Moreover, they should be strong communicators so that they can effectively implement these policies. Data stewards may also discuss, propose, and vote on data policies. They also ensure that the interests of the stakeholders are represented within their domain while making sure that their domain’s data is well managed and understood. Define the reasons why you need new data policies – These reasons are what will determine the policies that will be created by your data governance council. For instance, if your top priority is data protection, the policies formulated should put an emphasis on that area of data governance first. Inform stakeholders of your intent to design new rules and policies concerning data – The stakeholders comprise of your investors, your employees, your customers, etc. Anyone that will be affected by the data governance project needs to hear the reasoning behind them before you implement them so that they can be helpful in the implementation process. You also need to explain how you plan on avoiding disruptions in business when creating and implementing the new policies. Appoint a data governance council and its leader– This is a cross-functional team that will comprise of the various heads of departments within your organization. Their responsibility will be to examine the data policies you have in mind to see how they affect their respective domains and create new policies that will address any deficiencies that will arise. This council will also be your first stop whenever you have any data related problems and decisions in the future. Ensure that everybody follows the rules – There needs to be a good amount of communication between the data governance council and the rest of the company about the newly formulated policies and how they affect the business. For instance, if staff members are no longer allowed to use their own devices while accessing customer information, ensure that they know why. Make sure they understand that violating these policies not only implies endangering the company but its customers as well. Making sure that all data is modeled, named, and defined consistently. Even though there are several disciplines within the IT realm, one representative from the IT department is enough on the data governance council as they are relatively well-versed on what the organization wants from their department. However, IT planning for data governance includes all system owners who report to and coordinate with the IT representative to the council for providing all necessary information and implementing all requirements. Data Segmentation – This involves identifying the types of data flowing through your organization and segmenting depending on what needs protection. The Principle of Least Privilege – This involves which roles need access to what data and setting permissions around those needs. Access Request Process – This involves establishing data request processing outside of the normal scope. Data governance is essential for any organization today. It not only allows for the effective flow of data within the company to enhance productivity, but it also ensures that data does not fall into the wrong hands. Increasing regulations and contractual agreements are forcing companies as the primary drivers to think about data governance. 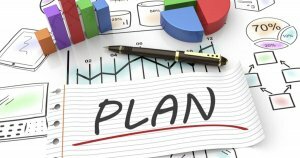 Do you have a data governance strategy in place? If not, it might be time to implement one. Read other identity and access management articles.